Did you finish Christmas shopping today? Did you manage to make Christmas cookies before you ate all of the cookie dough? 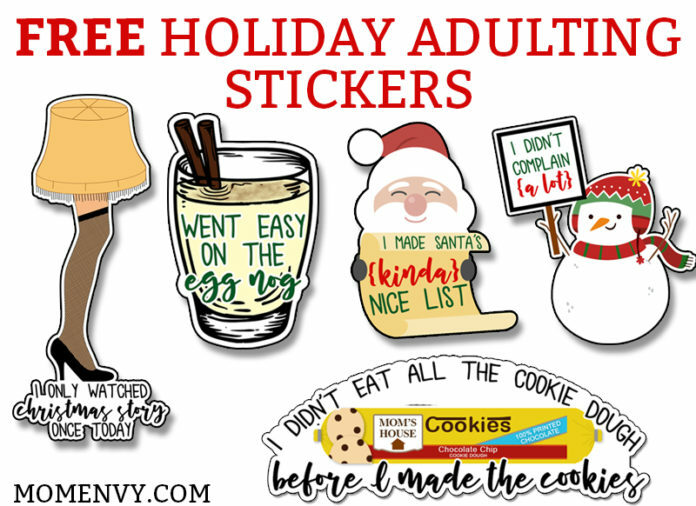 Then you totally deserve one of these Holiday Adulting Stickers. Since when do just kids deserve gold stars? Us parents work hard, too. It’s nice to feel recognized (even if you are just recognizing yourself). Have a little fun this stressful holiday season. 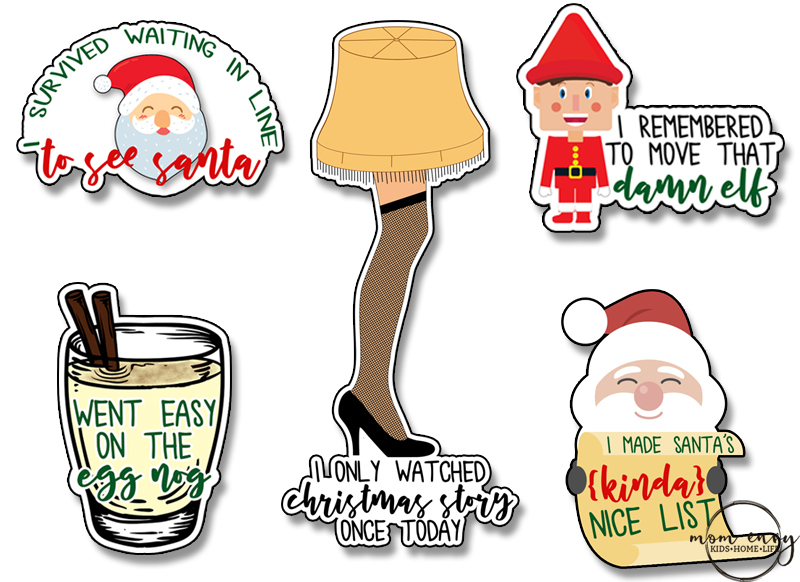 These stickers are perfect for planners, a fun gift for a friend, or just to stick on your shirt to show the world that you didn’t sit around watching Hallmark movies all day (which is really damn hard with all of those amazing Christmas specials). Check out the full set and download below! 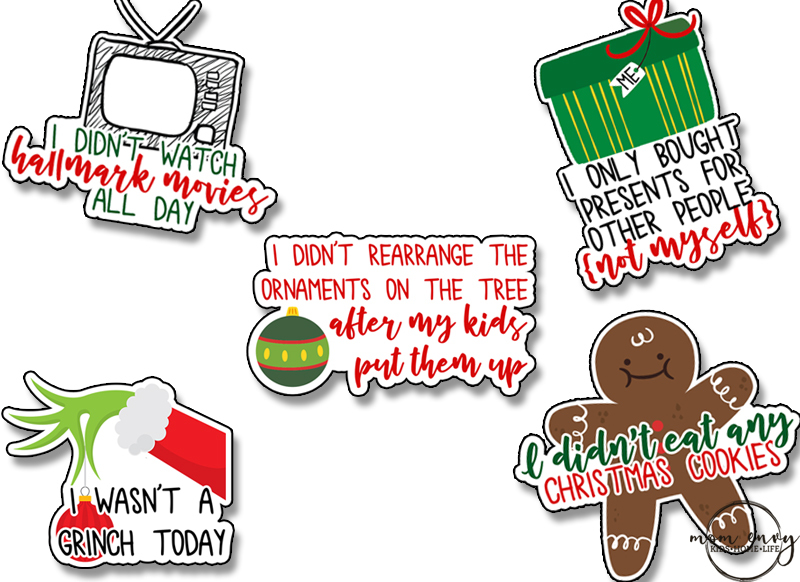 Here are all of the stickers available. There are 35 different sticker designs on one letter size sheet. They should fit most planners (even the Happy Planner mini!) Scroll down to the green download arrow to download the files. 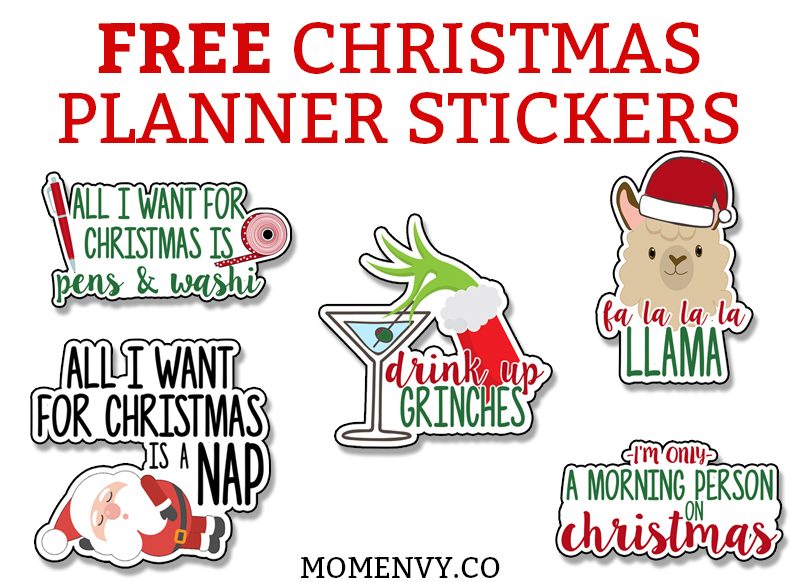 Looking for some more Christmas stickers? 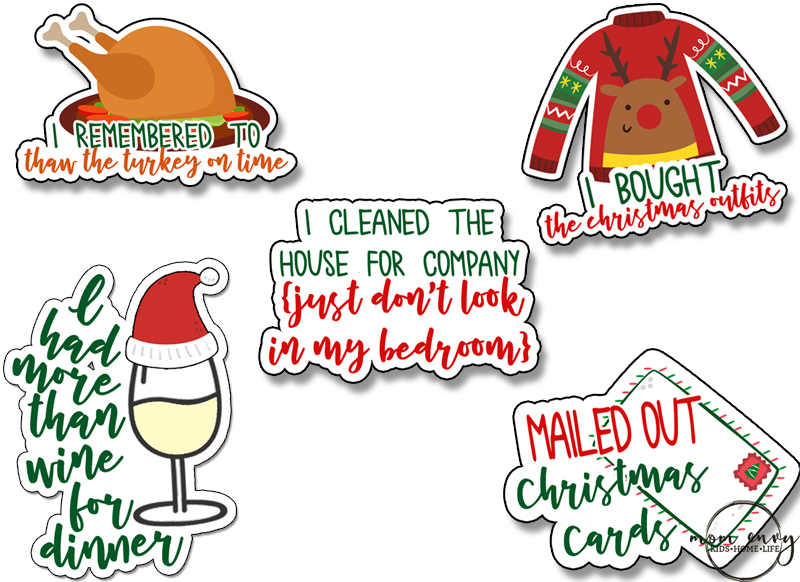 Check out this set of 25 MORE Free stickers! Looking for some more funny stickers? 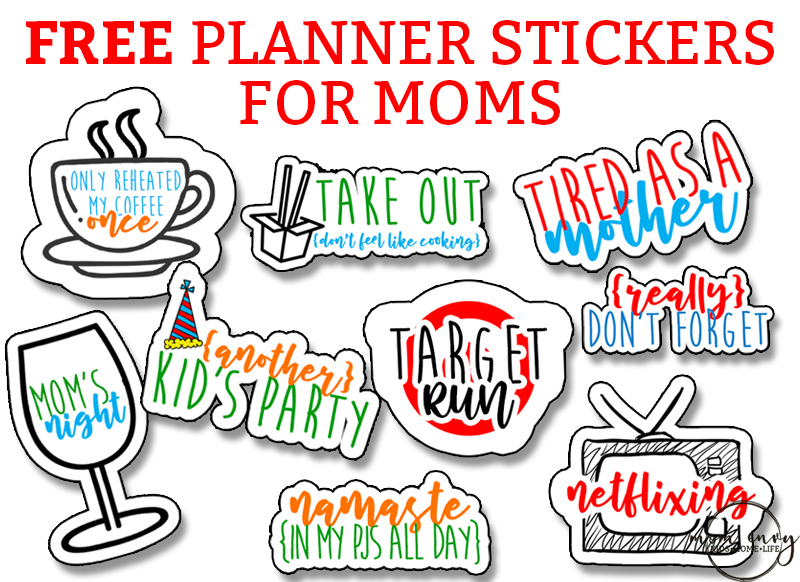 Check out this set of FREE Mom stickers! Click Facebook Like below under the Download Below image, to unlock content. Click on the image below (only appears Facebook Like). Christmas Gift designed by Freepik.com. 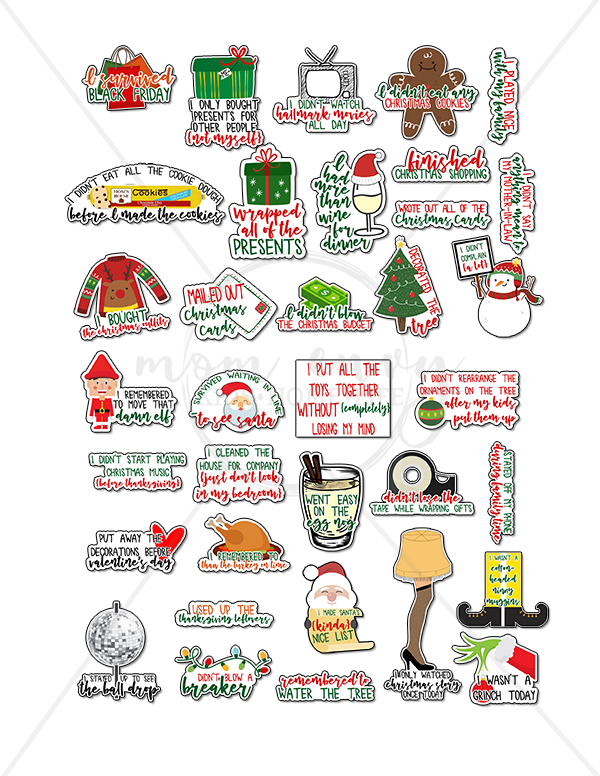 Christmas sweater and doodles designed by Freepik.com. Money designed by Freepik.com. Santa’s face designed by Freepik.com. Elf designed by Freepik.com. Egg nog modified from design by Freepik.com. Tape dispenser designed by Freepik.com. Christmas lights designed by Freepik.com. New Years Eve ball designed by Freepik.com. The elf’s feet were designed by Freepik.com. Grinch Hand designed by Freepik.com. You are too sweet!! I am so glad that you like them so much!! Have a great holiday season as well! Hi I’m not able to dl the stickers either….. I signed up in the email sub as well. Love the stickers!!! Hi! 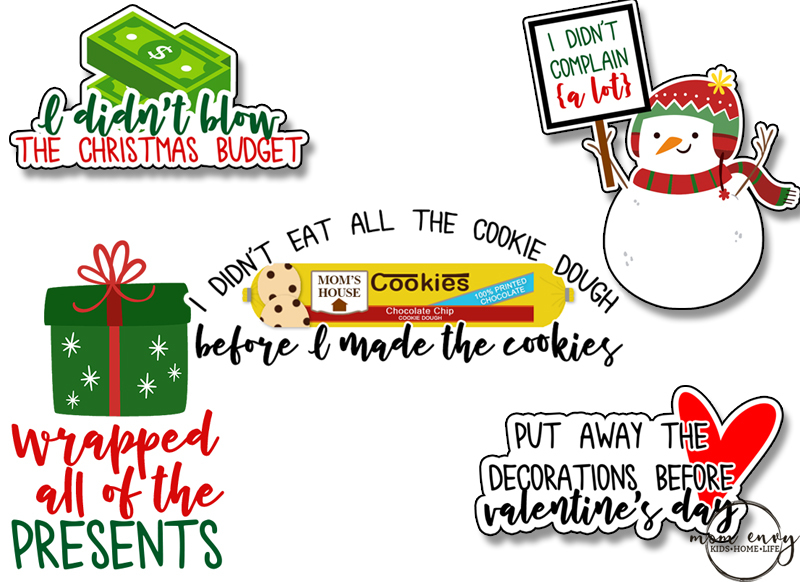 I am not new to Cricut but new to cute planners 🙂 I am trying to upload these in Design Space but it says it is too large. I am not sure how get them to upload. I am trying to resize them in AI, but not luck. Any tips? Hi Ellie, I unfortunately have a Silhouette so my knowledge about the Cricut is very limited. I downloaded the program and played around. I was able to use the JPEG with the cut lines for hand cutters. I just resized it smaller and it said it would work (since I don’t have a Cricut though, I couldn’t test it). I know of other Cricut users that have been able to make them and the one suggested using the hand cut file with the black lines. I wish I could help more but it’s just not my area. Thanks for making the stickers! Have not been able to DL ??? I am in the same boat as everyone else, love the stickers, but not able to download. I subscribed, followed all the directions for the Facebook Like and still no luck. Sorry you are having trouble. Sometimes people’s browsers are not compatible due to pop-up blockers, adware, virus software, etc. For those having trouble, closing the browser and opening it back up should work. 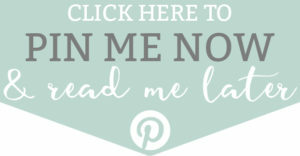 If this doesn’t work, send me an e-mail at: https://momenvy.co/contact-me or subscribe and download the members-only version.